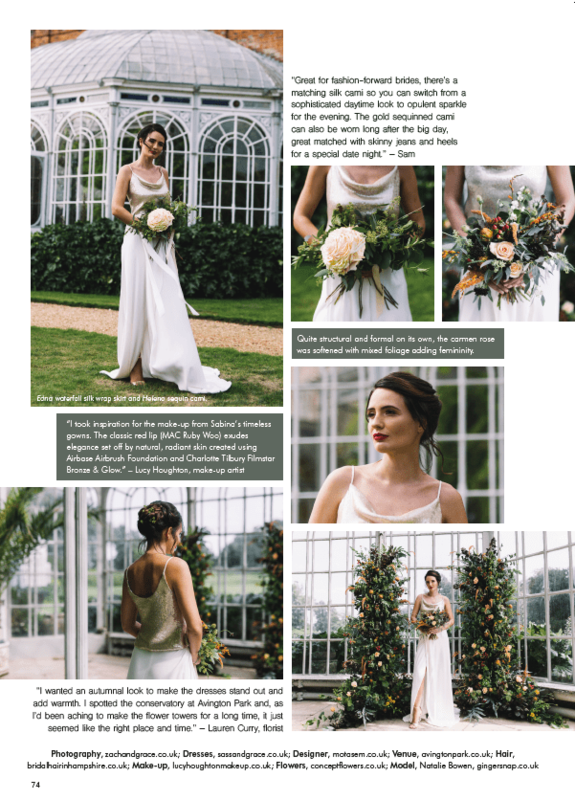 In September, we were delighted to announce that we are now the exclusive UK stockist of the award-winning British Bridal Designer, Sabina Motasem, and this wonderful photo shoot was designed to celebrate her beautifully unique designs. 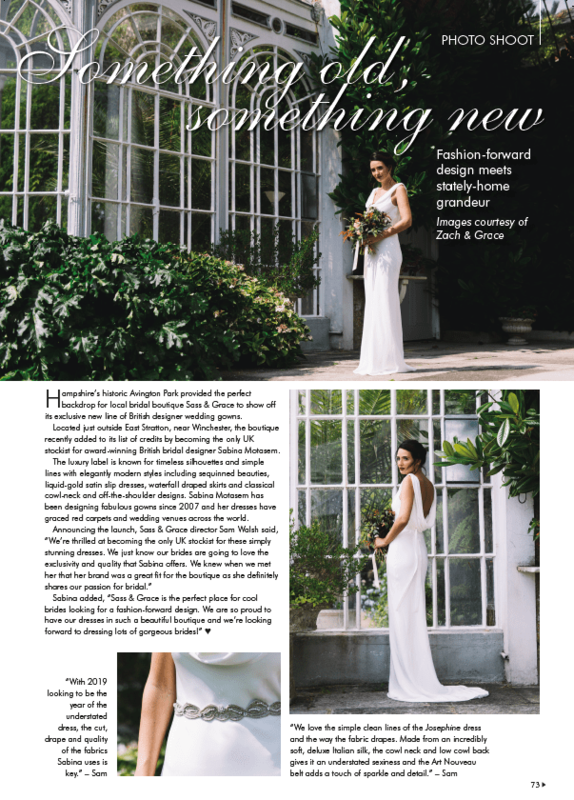 Our feature in Your Hampshire & Dorset Wedding Magazine describes our collaboration in more detail. So pick up a copy, grab a cuppa and enjoy the read! 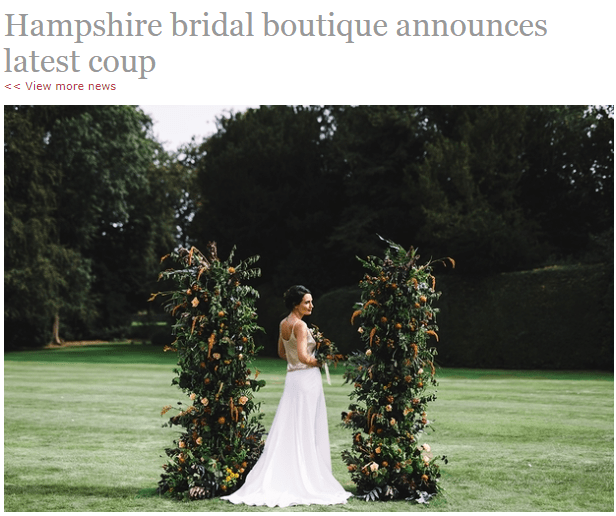 We teamed up with some of our favourite wedding suppliers locally on this photo shoot, including Zach & Grace Photography, make up artist Lucy Houghton, Bridal Hair in Hampshire and Concept Flowers.